Mary E. Geary, age 89, of Wilmington, DE passed away on Saturday, January 12, 2019. Mary was born in Helmetta, N.J., daughter of the late John and Mary Wargovics Timko. She graduated from Jamesburg High School in 1948. Mary worked for Johnson & Johnson in New Brunswick, N.J. as a secretary until her marriage to James E. Geary, Jr. in 1954. Mary was a wonderful cook and enjoyed throwing holiday and birthday celebrations for her family. Her whole focus in life was her family. She was the most caring, loving and generous person. 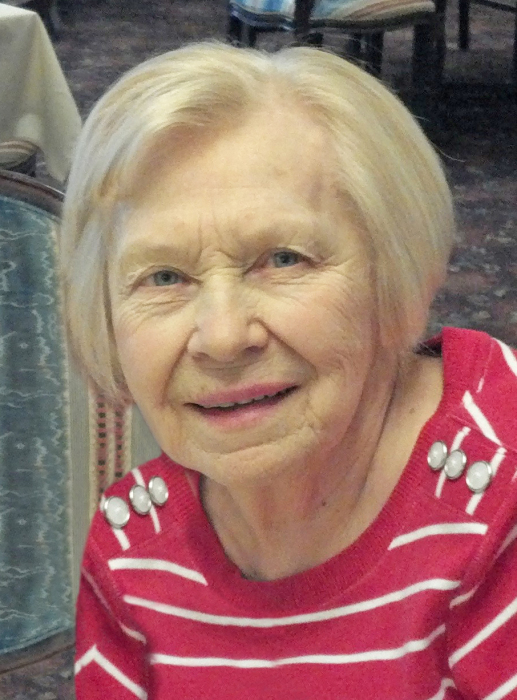 Mary enjoyed playing bridge, jigsaw puzzles, dinner and a movie and theater dates with her husband. Mary was devoted to her family and loved spending time with her children, grandchildren and great-grandchildren. She will be dearly missed. In addition to her parents, Mary is predeceased by her husband, James E. Geary, Jr. who passed in 2012, grandson, Jordan Boyes and her brother John Timko. She is survived by her daughters; Melanie Heck of Wilmington, Beth Boyes of Claymont and Diane Linett(Tom) of Glen Mills, PA., grandchildren; Heather Cataldi(Joe) of Wilmington, Dylan Heck of Wilmington, Lauren Linett and Christine Linett, both of Glen Mills, PA., great-grandchildren; Riley and Jayden Cataldi of Wilmington and Gavin Boyes of Wilmington, her sister, Irene Weber of Lone Tree, CO., a niece and nephews. For online condolences, please visit gebhartfuneralhomes.com.